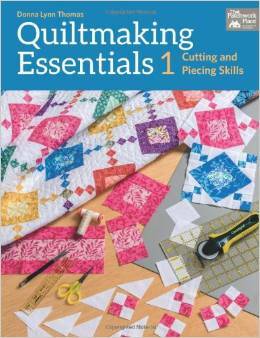 If you are interested in trying traditional quiltmaking, or if you wish your piecing skills were better for making your art quilts more precise, this may be the book for you. 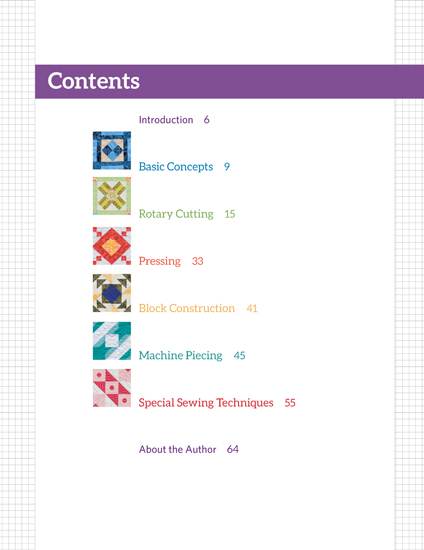 The author doesn't take anything for granted, but starts with the very most basic quiltmaking skills, from there she moves on to rotary cutting, pressing, block construction, machine piecing, and ends with special sewing techniques. 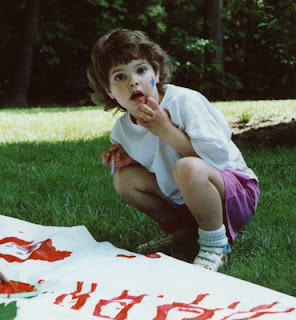 This little book is simply packed with information that will of great help to both beginners and to intermediates who want to perfect their skills. 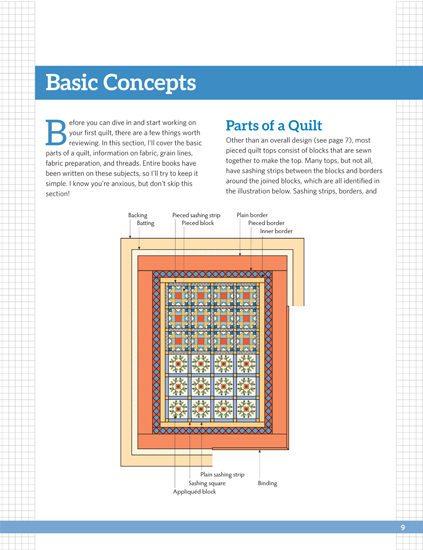 The information on the steps to piecing particular block styles alone is so very valuable.